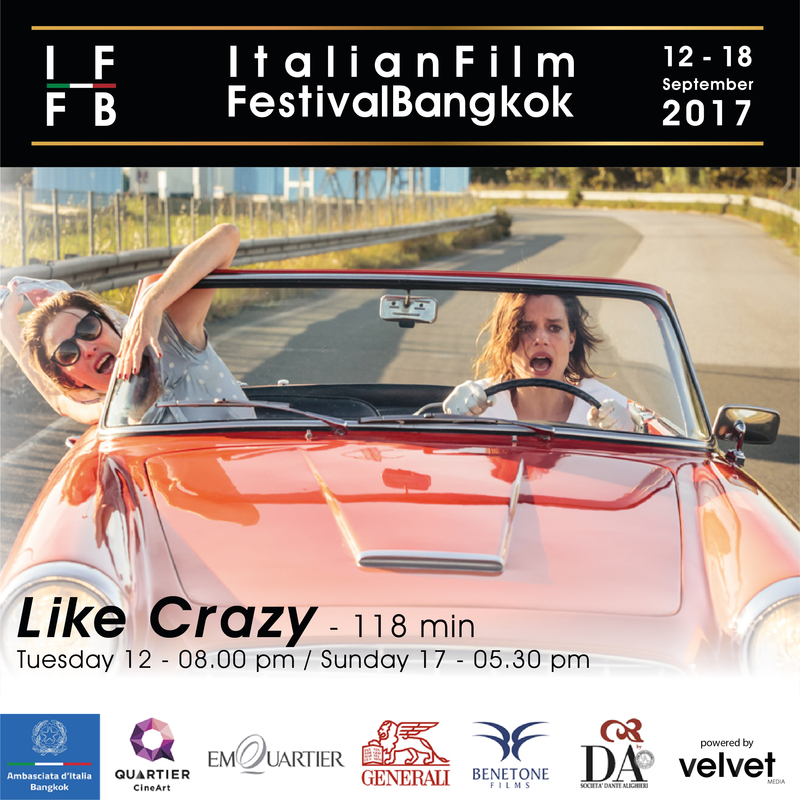 "Italian Film Festival Bangkok 2017"
The Dante Alighieri Cultural Association – Bangkok proudly presents the “Italian Film Festival Bangkok 2017”, which will showcase a selection of 7 recent Italian productions from 12th to the 18th of September 2017. 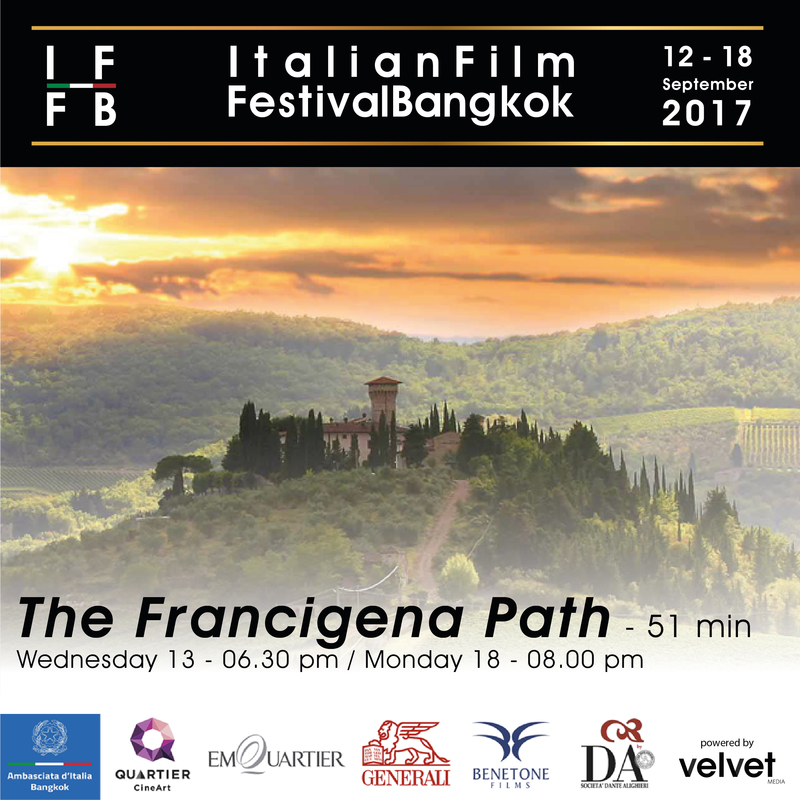 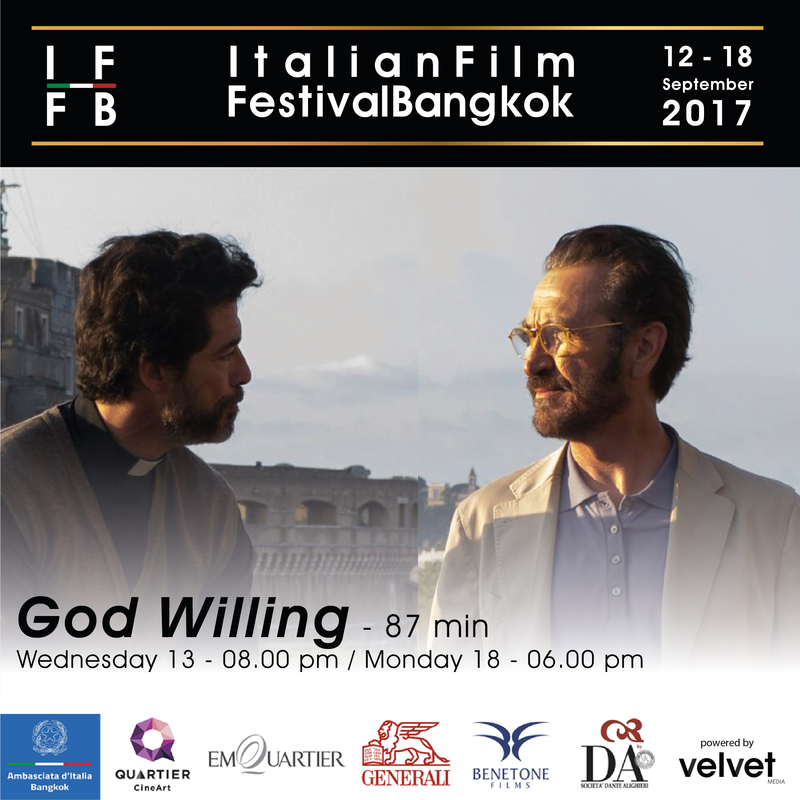 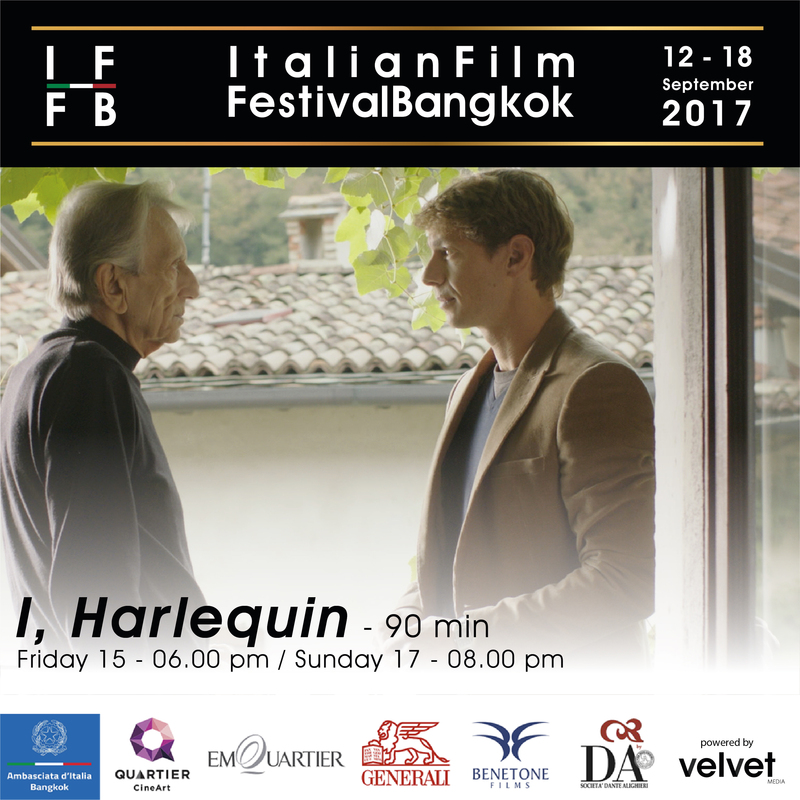 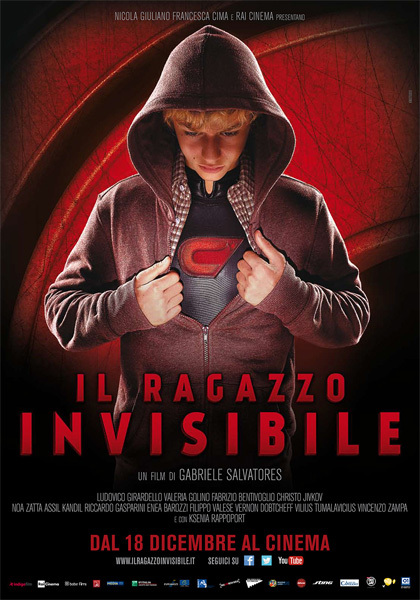 After the success of the 2015 and 2016 edition, the Dante Alighieri – Bangkok offers a new program of screenings, sponsored by EmQuartier and Quartier CineArt, and with the cooperation of the Italian Embassy in Bangkok, and the additional support of Generali Thailand and Benetone Films. 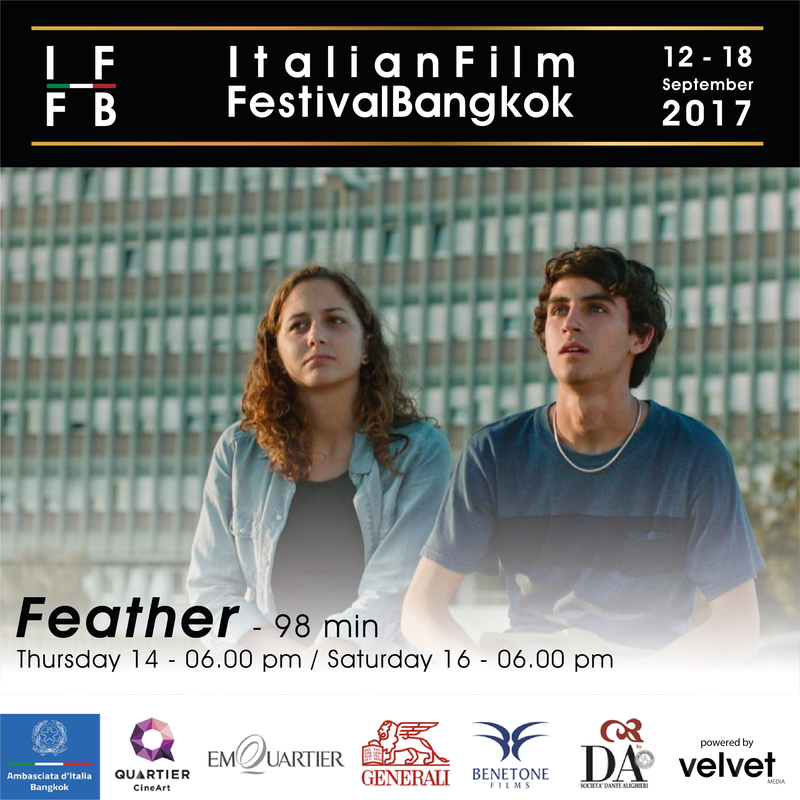 The Film Festival will focus on a contemporary image of Italian culture through the quality of its most recent and best film productions. 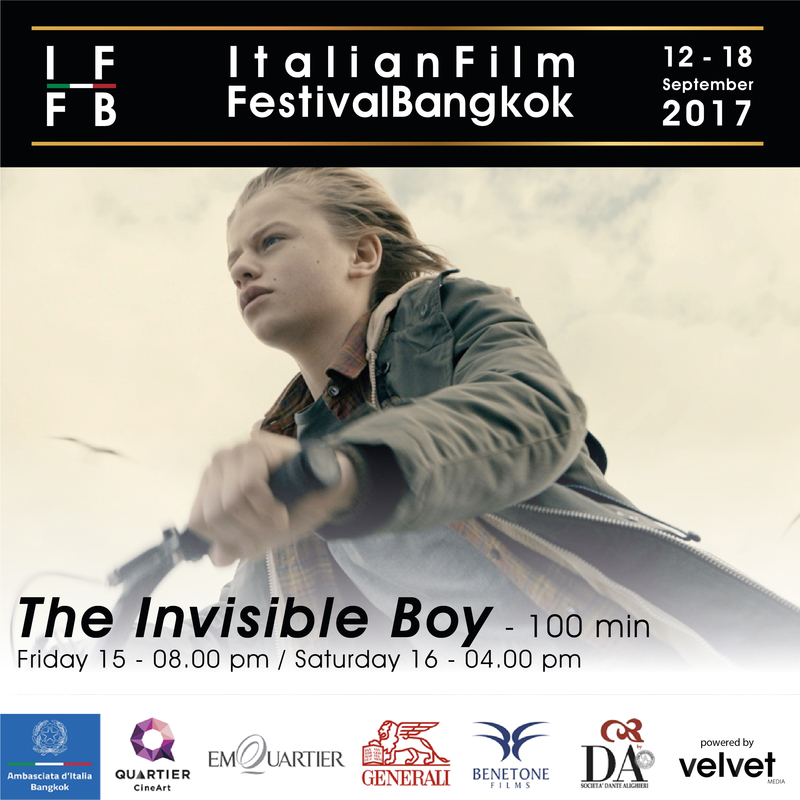 The selection alternates movies from well-known authors with debut feature films from young filmmakers. 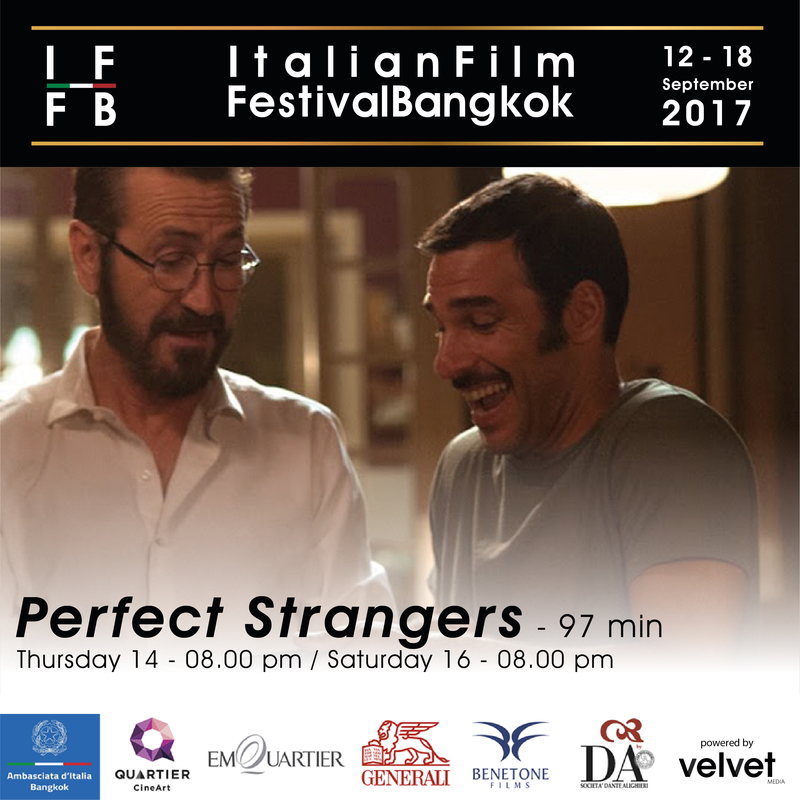 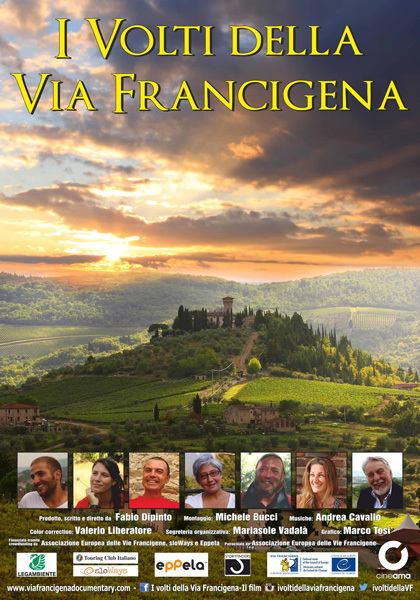 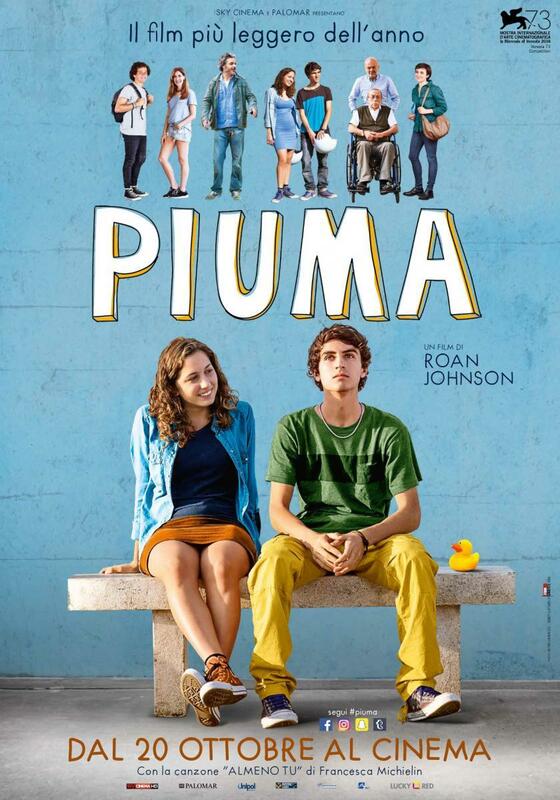 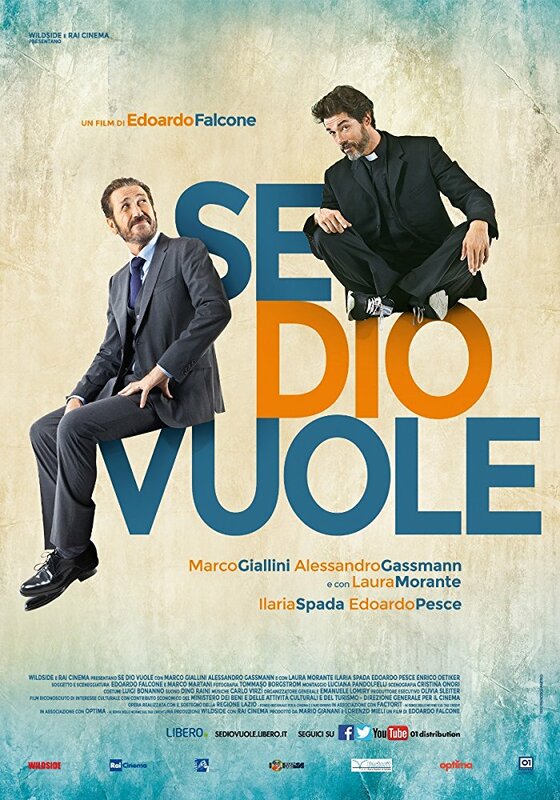 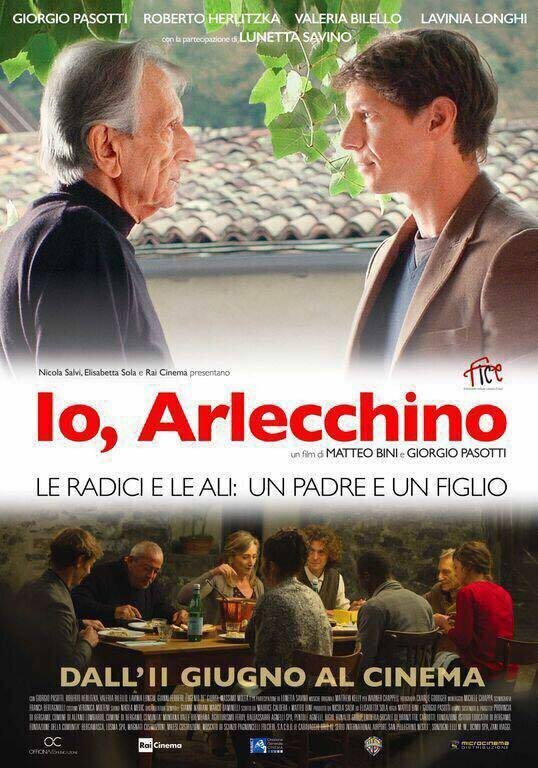 It offers a vivid picture of multi-faceted contemporary Italian society through dramas, comedies, fantasy and vibrant romance. 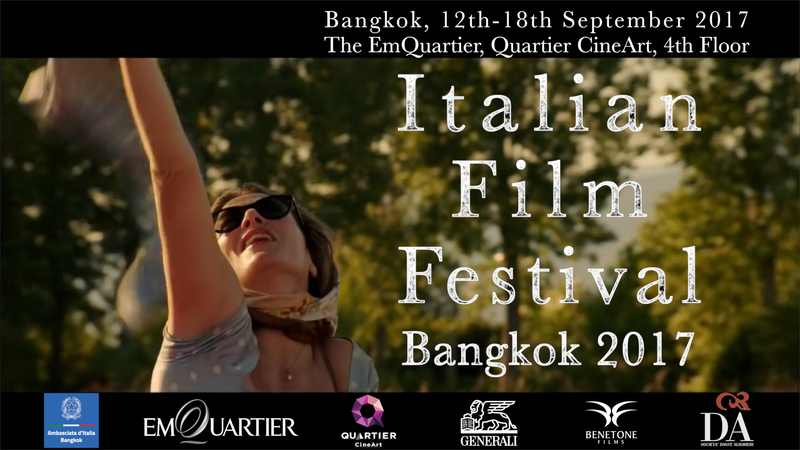 Projections are scheduled from the 12th to the 18th of September 2017 at the Quartier CineArt on the 4th floor of the EmQuartier.